How To Choice an Action Camera? The invention of the video camera made it possible for every person to record down the most significant moments of his life. However, sometimes this life is so violent that it is not possible to take pictures physically. For example, when a person jumps with a parachute or overcomes a mountain river in a kayak. 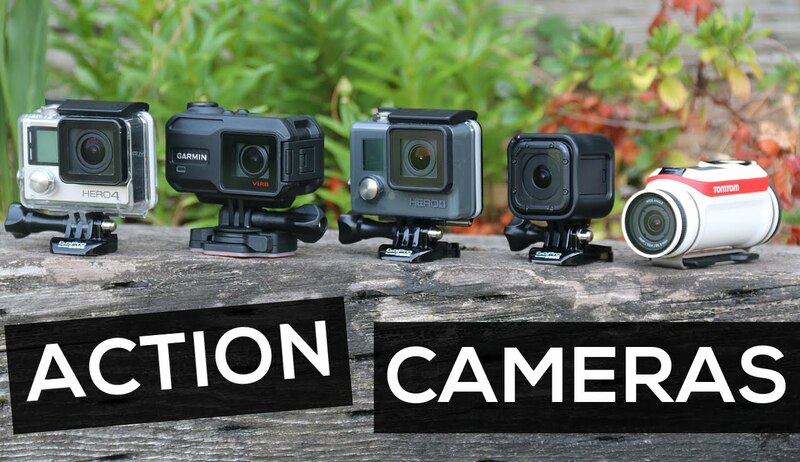 Choose the perfect action camera for the shooting is not as easy as it sounds. Very expensive – does not mean the best. Each device when recording video is designed for certain purposes. To understand what kind of action camera is better to choose for your needs, you need to understand the features of its use and technical characteristics. And in this article, we’ll tell you how to do it right. What is the criterion for an action camera and how does it differ from a conventional camera? The technical characteristics of the action cameras indicate two interrelated details. It’s the viewing angle and the focal length. The first is responsible for the area of the captured space in the frame. The second indicates the distance between the matrix and the optical center of the lens. Most cameras are equipped with wide-angle optics. Due to the features of these lens lenses, the resulting video appears distorted. Therefore, if you are using the camera for a normal slow shooting, choose the model with the function of changing the viewing angle or image correction. The matrix is a universal photosensor. It is here that the rays of light that have passed through the lens form the resulting image. The quality of the recorded video directly depends on the physical size of the matrix. Usually, this indicator is at the level of 36 × 24 mm, but the action cameras are very limited in size. Therefore, there will be enough 7 × 5 mm. Because of the small size of the matrix, even the top devices do not capture the picture in the dark and dusk. Another parameter is the matrix resolution. This is often liked to speculate marketers, positioning the number of megapixels as the main indicator of quality. In reality, everything is a little different. To record a video in 1080p is enough 2 Mp, for 4K 8 Mp will suffice. Video with the effect of slow motion is impossible without a high number of frames per second. Most modern action cameras are shot at 30-120 fps. The higher this value, the smoother the picture on the screen. Another important parameter of the matrix is the dynamic range. From its width depends on the number of small details on the contrasting parts of the image. The value is measured in Exposure Value. For most action cameras, the value is within 5-6 EV. Due to their size, some models of action cameras are not equipped with a display at all. The footage is viewed through additional modules or a connected smartphone. Other cameras have a simple black and white screen for setting the basic parameters. Instances of a higher price category already have an LCD display or a full-scale touchscreen. Not all models are protected from impacts, moisture, and dust. To ensure the reliability of unprotected devices in the kit they often come with watertight protective cases. However, a lot of GoPro alternatives are also available with built-in protection, such cameras are really good that can withstand any conditions of use. But with battery life, everything is not so cool. In most cases, it will be possible to shoot about 35 minutes of video before discharge of the device. If the compact does not play a big role, buy a power bank to extend the shooting, it will be useful for charging other gadgets. Also, do not forget to buy a couple of additional batteries with the action camera, they will help to increase the life of the camera to the required duration. The action camera is not always used only in active rest. Car drivers use the device as a DVR. There are special camera models equipped with a G-sensor. If an accident occurs during recording, the sensor captures the desired length of time on the video and saves it separately so that it does not take long to look for the moment of impact. The presence of built-in GPS will ensure the fixation of the accident site on the map. Another important point is fastening. There are universal mounting methods that allow you to fix the gadget on almost any surface for recording from different angles. Initially, the idea to mount the camera was proposed by GoPro. They also introduced their own standard of fastening, which is used today. Before you select an action camera, decide what exactly and how you will shoot. Let’s single out three priorities: 1. Duration of the recording. Take a closer look at batteries with a large volume. Also get a memory card at least 64 GB; 2. Durability. You need a camera made of aluminum alloy and shockproof plastic with steel inserts; 3.Quality pictures. Choose the 4K resolution and increased frame rate per second. GoPro Hero 5 is suitable. Considering the issue of such a popular device as an action camera – which one to choose in 2018, take into account the tasks performed with this gadget. Someone needs a version for extreme sports, others it is often required as a DVR, the third device is useful for hiking and cycling trips. Make a decision to buy is worth it, considering all the features – from the quality of video and photo to the price and the degree of protection from external influences.